www.PlugThingsIn.com is not a dating site. We help people get plugged into internet connections and eventually services like cable and home security. We don’t help people get plugged into relationships. That said, we know that many of the people we help connect to the internet are interested in dating online, or will be in the future. So I thought it might be helpful to provide some tips on how to go about dating online safely, so that you have a positive experience. 1. Only use your first name. Using your entire name will give others the information they need to start snooping around. They can find out where you live, where you work, your social media profiles and phone numbers. They can also use this information to learn more about your family. 2. Don’t tell people about your personal life. You don’t want to open up to anyone too soon. Telling people things like where you work, what school your kids go to or what your daily routine is just begs for someone to stalk you. 3. Your first couple of dates should be in public. For your first date, I wouldn’t recommend inviting anyone over to your home, to go camping alone or to a secluded park. As romantic as it may seem, it’s also very dangerous given how little you truly know about your date. I suggest going to a public place, such as the movies, dinner or maybe laser tag. 4. Take baby steps. Don’t rush into anything. When you find someone you’d like to contact online, start small — start with messaging back and forth and then emails. Then talk on the phone. And then setup a date. I wouldn’t recommend finding someone at Match and then inviting them to watch a movie at your place all in the same day. 5. Don’t lie. Other than for ethical reasons, you shouldn’t lie to someone because you aren’t entirely sure how they might handle learning the truth. So be sure to tell the truth about your name, age, whether you have kids or not and about what you look like. As I mentioned above, don’t give away everything, but be honest about what you do share. 6. Listen to your gut. Pretty simple advice here. If something doesn’t feel right, it usually isn’t. 7. Use a new email account. I recommend opening an anonymous email account for your online dating accounts. Only fill out what you have to for these accounts. Gmail requires very little info before signing up. 8. Block users. If anyone is harassing you on the dating site, or have managed to find you on Facebook or Twitter, then block that person. Then report them. Don’t just put up with it. 9. Keep records. Once you start talking to someone through instant messenger, email and text, I recommend keeping a copy of all correspondence that you have with other dating members. That way if something goes wrong or if you find out that you’re being stalked, you have proof of everything that has been said and when. 10. Tell someone else what you’re doing. When you start going on dates, you should let someone (other than the date) know about it. It can be your parents, friends, co-workers — it doesn’t matter. Let them know when and where you’re going, as well as when you expect to be back. If something goes wrong or seems out of place, they’ll be the first to know and can take further action. 11. Research potential dates. Before you go out on your date, see if you look the date up. If they give out too much information, see if you can find them on Facebook or Twitter. How do they act? What do they talk about? Do they have a crazy ex they forgot to mention? You can also take this a step further and perform a background check. 12. Don’t drink too much. Yes, it’s a date, but for the first date or two (or three or four), you don’t want to impair your judgment. If something was to go wrong, you want to be able to run, make a phone call, fend for yourself or drive away. 13. Have your own ride. Be sure to use your own car or a cab. I wouldn’t recommend getting into a car with someone you hardly know. There are my 13 tips for dating safely online. 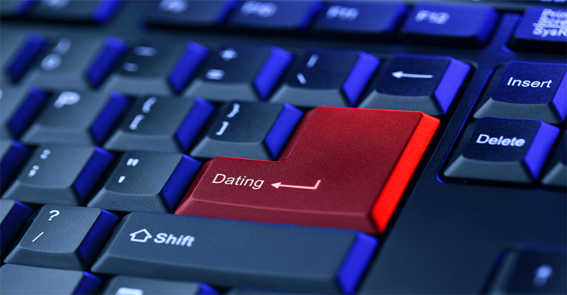 Do you have any online dating tips or experiences that you’d like to share?